It’s hard to escape the news about prices at the pump. But with all the economic worries that may be weighing on you, it may be even more imperative that you take a break this summer. Though you may be rethinking their summer travel plans because of higher fuel costs or other budgeting, make sure that you’re not throwing in the towel too early. Here are some tips to help get you on your way. Tip 1: Travel domestic. The plummeting American dollar has made traveling overseas a punishing financial experience. Stay in the U.S. and avoid that scary Euro exchange rate. Dorothea Bernique, head of a nonprofit financial-education group, Increasing H.O.P.E. (Helping Others Prosper Economically) in Summerville, South Carolina, and her family are limiting their trips to stateside spots such as California, and have actually cut back their annual vacations from three to one–saving upwards of $1,000 a year. A rising buzzword this year is the “staycation” where families stay at home and spend time visiting local attractions that they’ve overlooked. Tip 2: Visit the blogosphere. Take some time to browse around travel blogs. There are a lot of folks out there sharing their experiences and travel tips. A useful starting point is Arthur Frommer’s Budget Travel magazine’s blog, which appears under the heading “This Just In…,” on its home page www.budgettravel.com. Tip 3: Swap your home. In the movie The Holiday, Kate Winslet and Cameron Diaz enjoyed their vacations in each other’s homes. Sites such as HomeExchange.com let you do the same. Tip 4: Travel off-peak. Anytime when people don’t like to travel–maybe red-eye flights, or maybe vacations in the fall when the kids are back to school–mean there are bargains to be had. If you can stomach the uncertainty, the major travel sites such as Expedia.com and Travelocity.com have special offers for those who love last-minute travel. Tip 6: Get bumped. On busy flights, airlines may offer you any number of incentives (hotels, meals, pricey travel vouchers) to get on the next flight instead. Take it and slash the cost of your next vacation. Tip 7: Write it off. Can you combine your family vacation with a trade conference or legitimate business meetings? 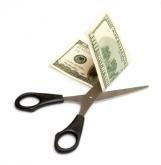 Check the rules to be sure you can deduct a portion of your costs. Tip 8: Bid for your trips. Setting your own price for flights or hotels at Priceline.com might not always be successful, but it can also get great deals for the daring. Tip 9: Use your air miles, don’t just accumulate. You may have racked up 50,000 points and filed it away in a drawer somewhere. That forgotten account may be worth two round-trip domestic air tickets.